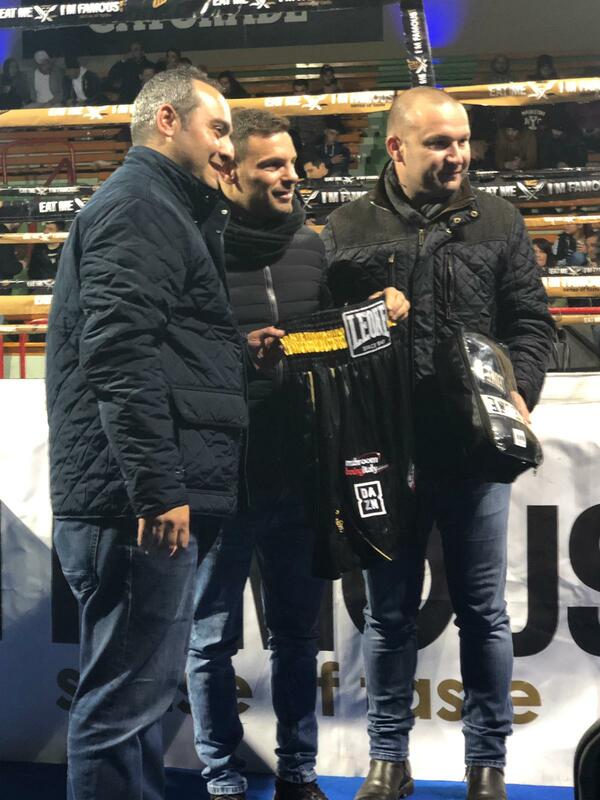 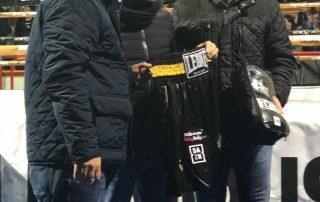 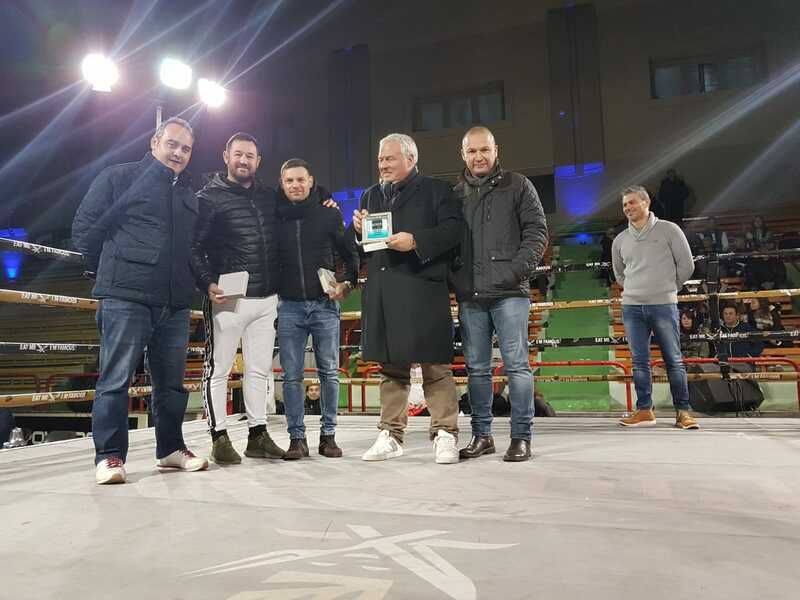 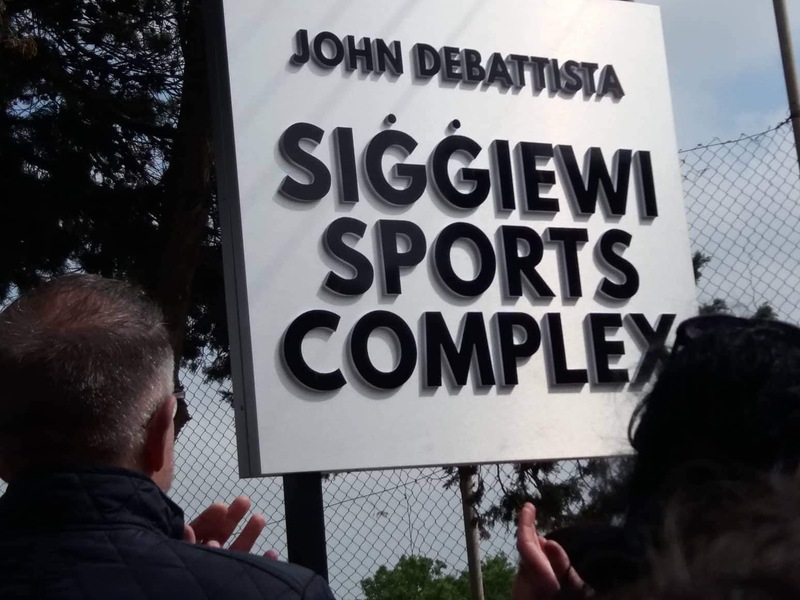 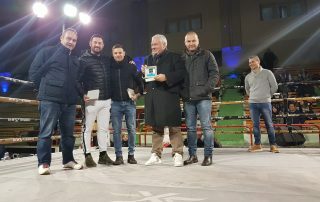 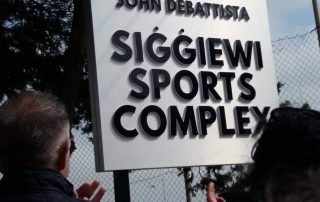 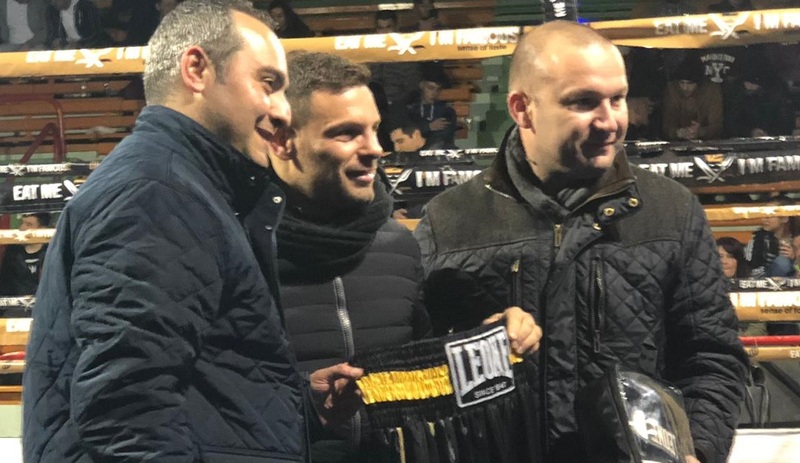 Italian Featherweight Boxing Champion Carmine Tommasone, who was the Malta Sports Journalists guest during this year’s SportMalta Awards, attended an event by the Malta Boxing Federation organised last Sunday at Kordin’s Sports Pavillion. 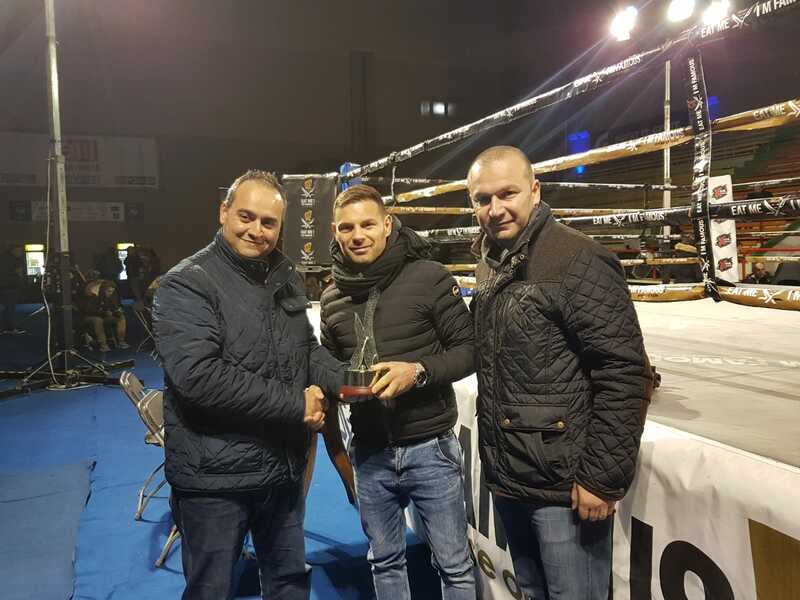 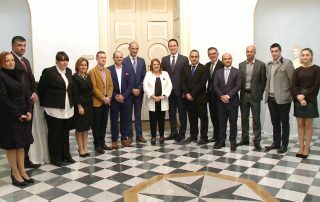 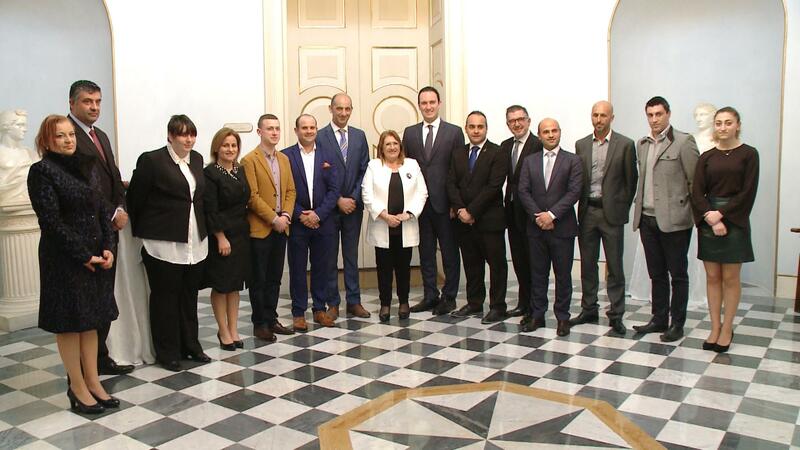 This was an AIBA sanctioned event and also present in Malta was MBF President Patrick Schaerrer. 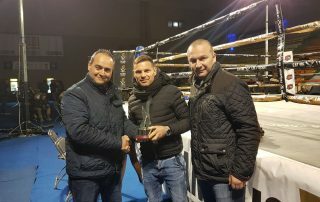 The President of the Malta Sports Journalists Association Sandro Micallef together with the Organising Secretary Antvin Monseigneur presented a token to the Italian boxer Tommasone to thank him for accepting SportMalta’s and MSJA’s invitation to attend the awards. 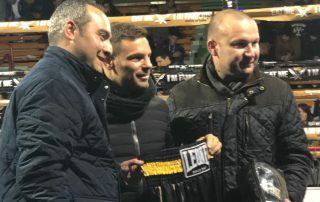 Tommasone reciprocated by presenting the Malta Sports Journalists Association with the boxing gloves he used during the preparation for the Rio 2016 Olympics as well as the boxing shorts he will be using during his fights this year bearing the Matchroom Sports Logo who are one of the largest promoters in the international boxing scene.